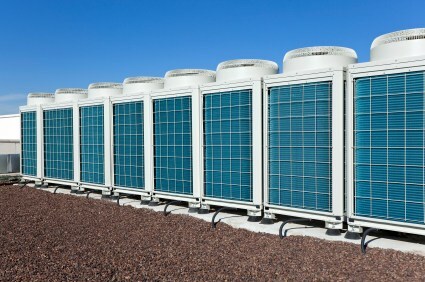 Looking for HVAC service for your Carl Junction, Missouri business? Servicing countless clients across the region since 2009, Barone's Heat & Air, LLC is a recognized industry leader for commercial HVAC in Carl Junction, Missouri. Our staff stands at the ready to handle all of your HVAC needs with care and professional attention. Trust our years of experience and thorough training to deliver the expert advice you need. Companies across the Carl Junction region have worked with Barone's Heat & Air, LLC's commercial HVAC experts on design, replacements, repairs and maintenance of all HVAC systems and equipment. Our professional technicians employ the latest methods to service heating and cooling systems around Carl Junction. You can also save money with Barone's Heat & Air, LLC on your side. Allow our experienced technician to assess your existing Carl Junction commercial HVAC systems, auditing energy efficiency and equipment performance. Our HVAC upgrade plans include any necessary repairs and an affordable maintenance schedule that will provide your Carl Junction organization with the service required for peak efficiency. Expect reliable, prompt service from the pros at Barone's Heat & Air, LLC. We offer immediate service for all of your commercial HVAC systems, including emergency services, after-hours calls, shutdowns and regular maintenance schedules. Committed to working with the needs of your business, Barone's Heat & Air, LLC remains one of the best HVAC contractors in Carl Junction, Missouri for a reason. Your Carl Junction company deserves professional attention, and the professionals at Barone's Heat & Air, LLC are ready to deliver. Providing knowledgeable advice and prompt service at affordable rates to clients across the region, call Barone's Heat & Air, LLC at (417) 232-0017 today to look after your commercial HVAC in Carl Junction, Missouri.